Please note: We have live entertainment every Friday and Saturday Nights. The list of upcoming entertainment can be found by clicking the below button and visiting our entertainment page. 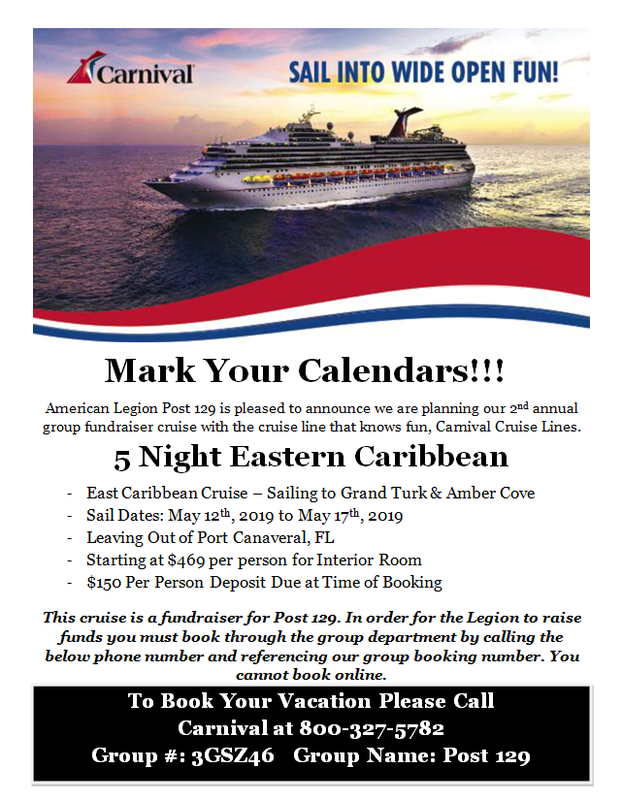 I am pleased to announce that we are officially planning our second annual group cruise fundraiser. Mark your calendars. We will be sailing on the Carnival Sunshine out of Port Canaveral departing on May 12th, 2019 for 5 fun filled days visiting the beautiful ports of Grand Turk and Amber Cove. 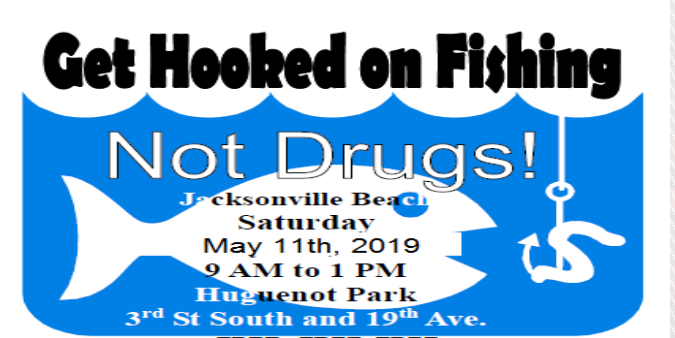 We are honored to be helping the city with their Get Hooked on Fishing event this year. We will need volunteers to help serve. Please see Joe, Ernie or Al for additional details. ​Join us for the meet and greet on Monday, May 6th at 6 pm. 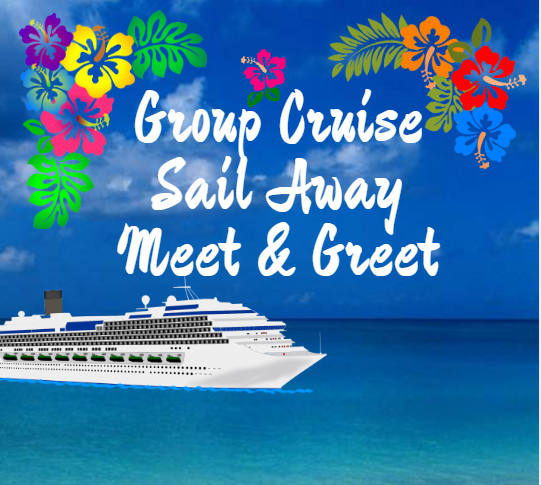 This is a great place to get questions answered by members who have cruised before and meet other people you will be vacationing with. We will also be handing out the shirts for the cruise as well. 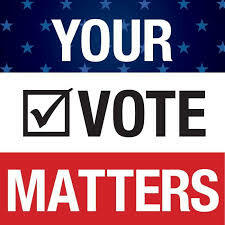 Elections for Legion officers will be held at the monthly meeting on Thursday, May 2nd at 7 pm. If you are unable to attend meeting but would still like to vote absentee ballots will be available starting on Monday, April 22nd. If you would like to run for an office for the upcoming year please let Ernie Florig or Jeff Durden know. Election for SAL officers will be held at their monthly meeting on Wednesday, May 1st at 6 pm. If you would like to run for an office for the upcoming year please let any SAL officer know. Election for Auxiliary officers will be held at their monthly meeting on Thursday, May 2nd at 7 pm. If you would like to run for an office for the upcoming year please let any Auxiliary officer know. Election for ALR officers will be held at their monthly meeting on Saturday, May 4th at 9 am. If you would like to run for an office for the upcoming year please let any ALR officer know. Join us on Sunday, April 28th for the Opening of the Beaches parade. We will have a float this year as well as a few classic jeeps. We need all of you to show up and help hand out flyers and flags. The parade route is short and this really does not take much time and honestly is a ton of fun. 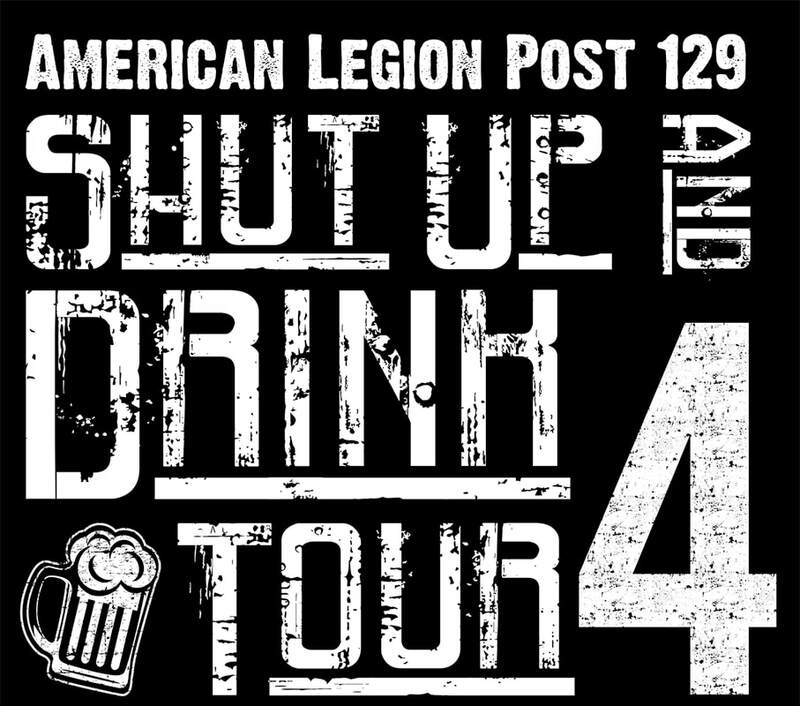 Let's show our community what Post 129 is all about. Parade starts at 2 pm; be at the pier by 1 pm to join in on the fun. Mark your calendars and plan on joining us for the fourth annual Sterling Memorial Golf Classic on Saturday, April 27th. The event this year will be played at the Queen's Harbour course. More details to follow soon. 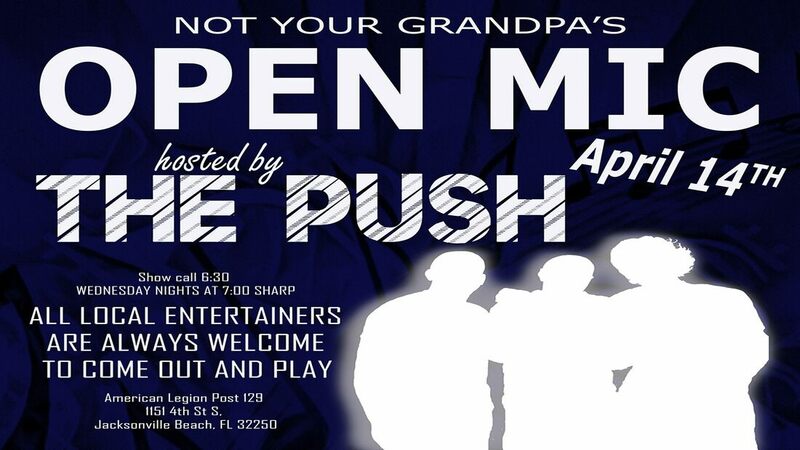 The PUSH is super excited to be hosting the - Not your Grandpa's Open Mic at American Legion Post 129 Jacksonville Beach, FL. 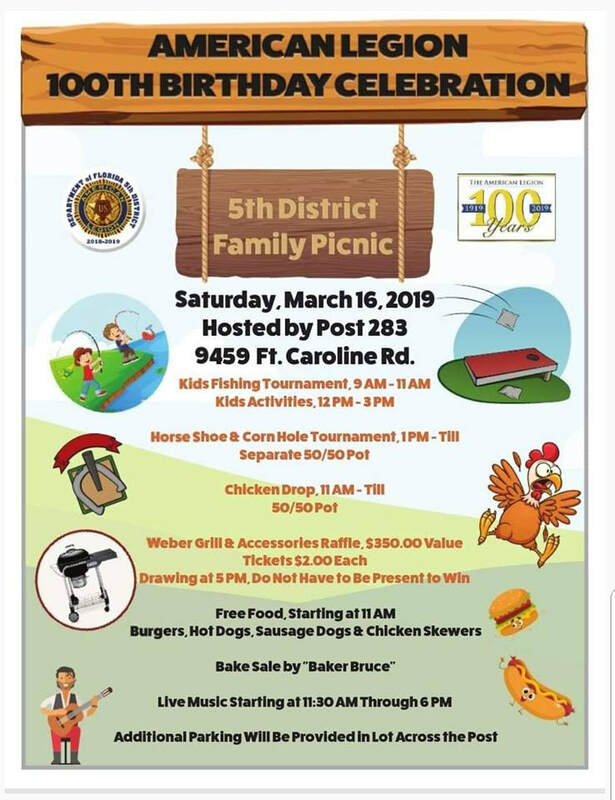 Come out and play with us on April 14th. 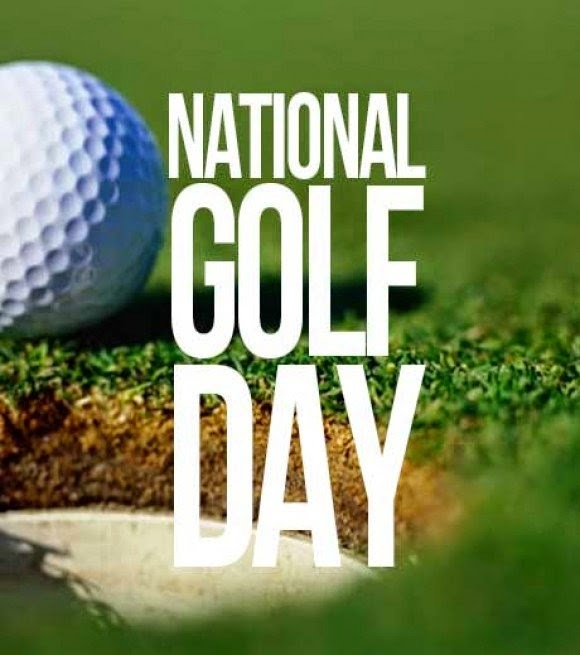 Did you know there was a National Golfer's Day? Well there is. We will be doing some sort of contest that day and giving away an entry to our Legion Golf Tournament. Be sure to mark your calendars and plan on being here. More details on contest to follow. We are excited to announce that we will have a new weekly event starting in April on Sunday evenings in the Liberty Hall. 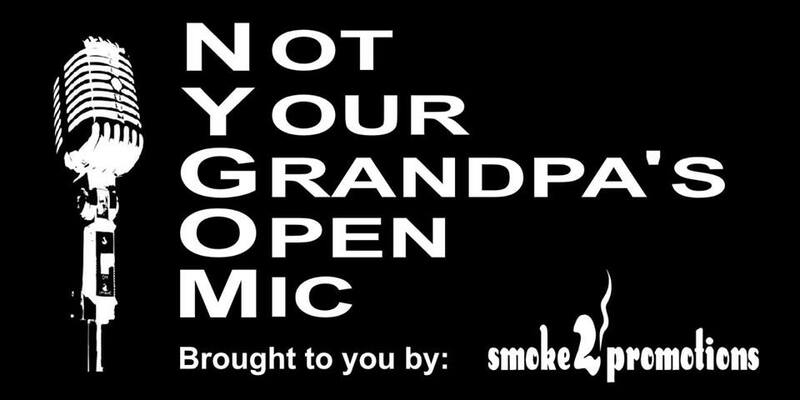 "Not Your Grandpa's Open Mic" is starting on April 7th. Opening Night we have: Great originals Band: "LUNA CRUISE" And the lead vocalist from the Rock Band: "JUST US" "KIMI WADE" who I have on good word will be bringing a few of her Rock N' Roll buddies along with her and we will have a REAL DEAL JAM!!! 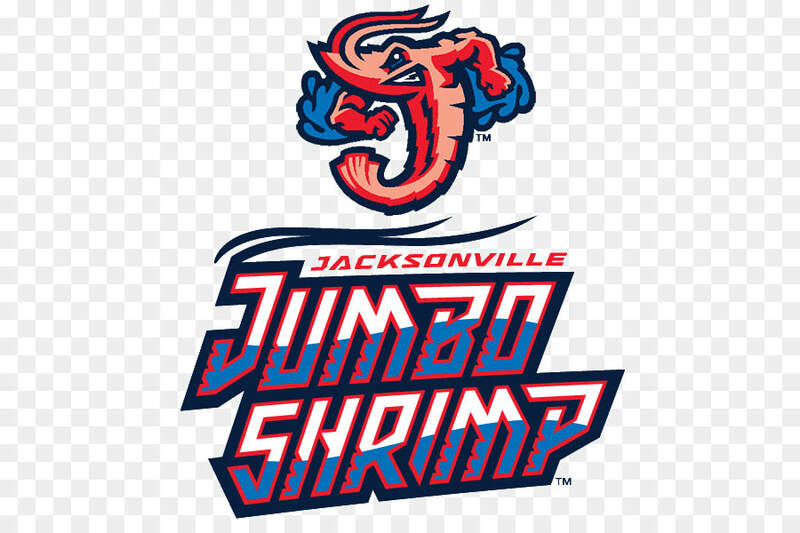 Mark your calendars for Sunday, April 7th for our annual group outing to the Jumbo Shrimp game. Sign up will be available in the main canteen soon. We will only be taking one bus this year so be sure to reserve your spot as soon as I put up the list. This event fills up fast. 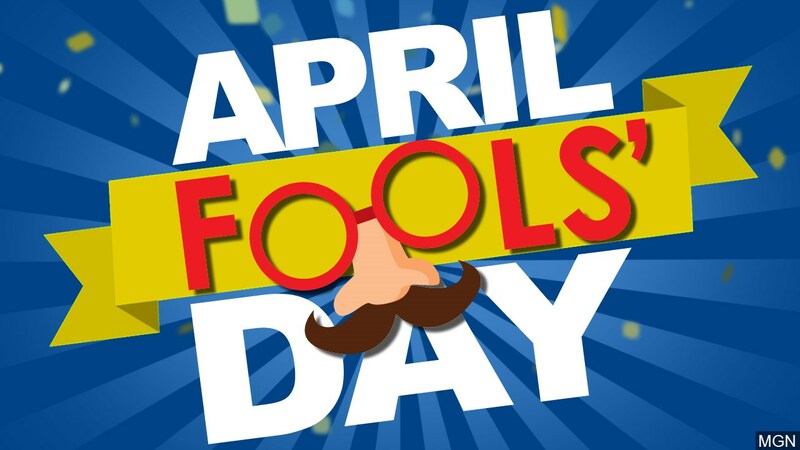 Marcia is working on putting together a contest for April Fool's Day. Once we have all the details worked out I will let you know. Be sure to mark your calendars and plan on being here. 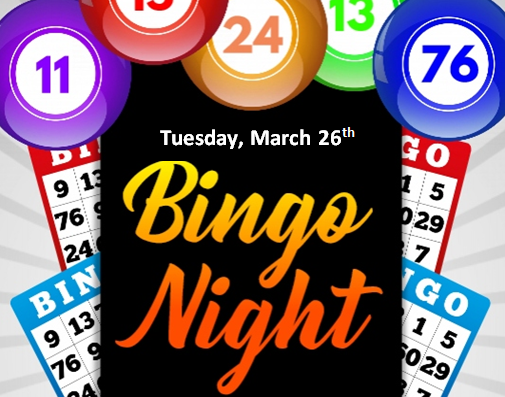 Join us on Tuesday, March 26th at 615 pm for our 3rd Tornado Bingo Tournament. This is our way of saying thank you to our bingo players for all of your support and play over the years. This will be a free event to join and prizes will be given for 1st, 2nd, and 3rd. Sign up in advance on the board in the main canteen. 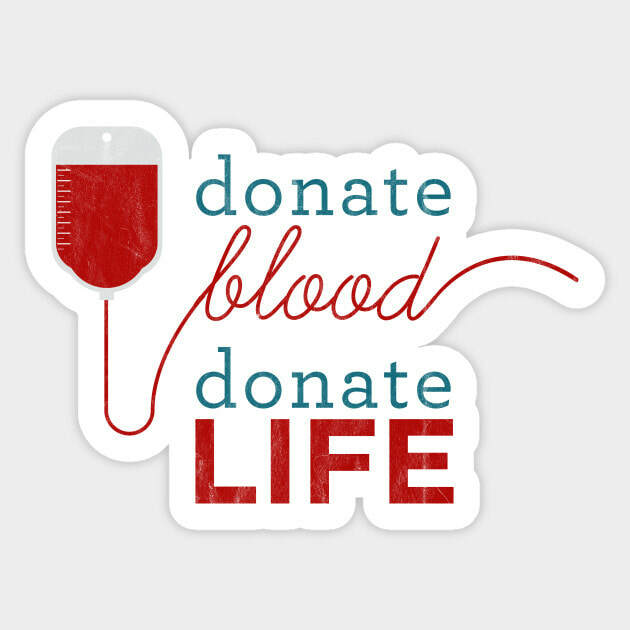 The Bloodmobile will be onsite here at The American Legion Post 129 starting at Noon on Saturday, March 16th. 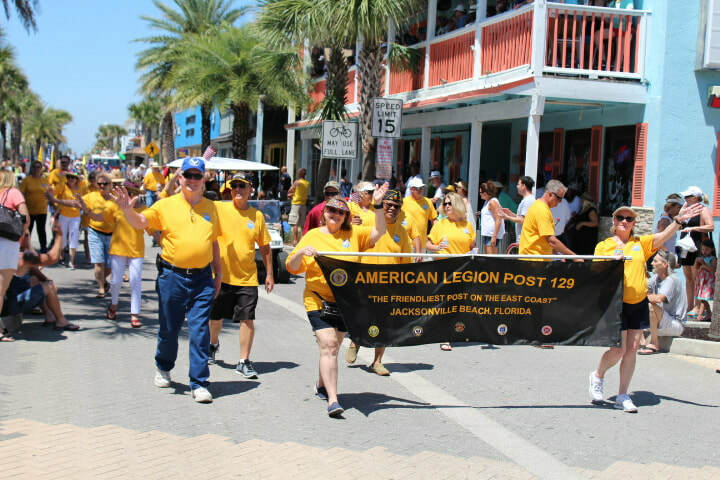 Legion, Auxiliary, Sons of the American Legion, and American Legion Riders Bring your family for a day of fun!! We will be celebrating St Patrick's Day on Friday, March 15th. Terry will be serving up his famous Corn Beef meal served with Parsley Boiled Potatoes, Cabbage, Carrots, and Homemade Soda Bread. This is a meal that we ask you to RSVP in advance for. Sign up can be found on the board in the main canteen. Things are changing! 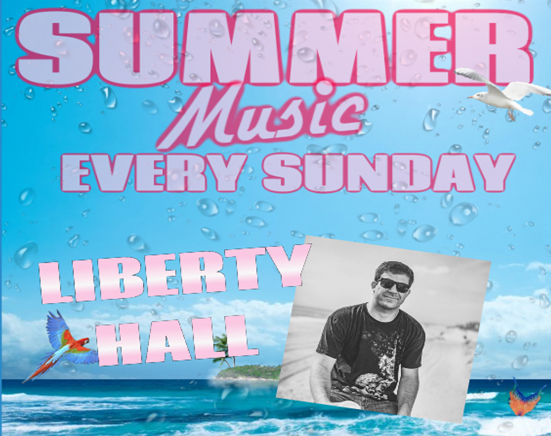 You may have caught it if you read the newsletter over the weekend but in case you didn't the news is we are bringing in live entertainment on Sundays in the Liberty Hall. We are excited and hope you are too. This week we have Matt Henderson his island style music will keep you entertained all night long. So plan on coming out and checking him out. He will be playing from 5 pm to 8 pm. You can stay for his whole time and still be home in time to get a good night's sleep for Monday. See we are always looking out for you. 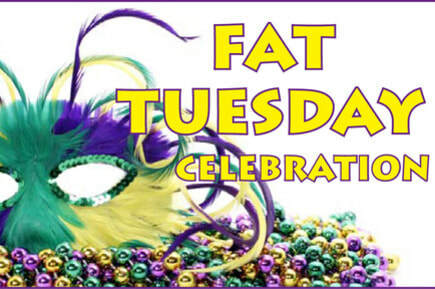 Mark your calendars and plan on joining us on Tuesday, March 5th for our Fat Tuesday celebration. We will have King Cake, Beads, Drink Specials on Hurricanes, and Fat Tuesday themed meal. On Saturday, February 23rd the ALR will be hosting their 2nd annual Casino Night to raise funds for their veterans support fund. The fund is used to supply materials and labor for our local beaches disabled veterans who have a need increased functionality and / or repairs to their homes. They have completed three projects to date and they continue to serve our veterans. 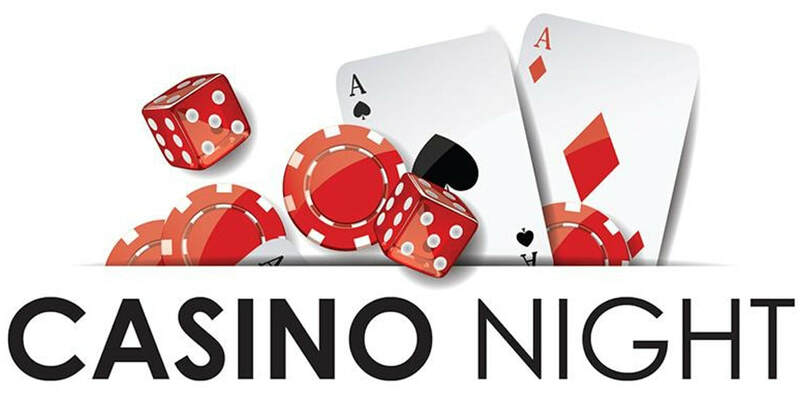 Casino night’s are always a great time and I am sure the ALR will do a fantastic job hosting so mark your calendars. Tickets will be $25 per person - which includes dinner catered by Mission BBQ, $300 in play money and a free door prize ticket. Doors open at 530 pm, dinner is served at 6 pm, gaming starts at 630 pm. Raffle at end of the night. 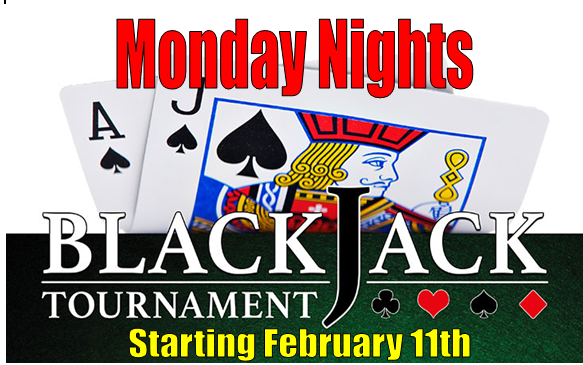 Join us on Monday nights in the back hall for Blackjack Night! There is no cost to play. Come learn how to play or sharpen your skills. Starts at 6 pm each and every Monday night in the new back hall non smoking environment. 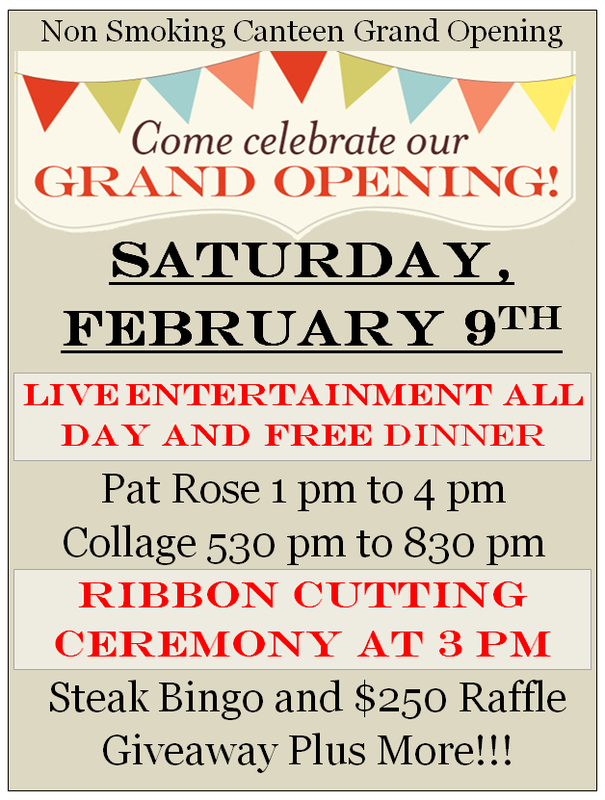 Join us on Saturday, February 9th for the Grand Opening of the back hall. We will be opening the new non smoking back hall that day at 1 pm. We will have Pat Rose here to entertain you from 1 pm to 4 pm, we will also have Collage here from 530 pm to 830 pm. The ribbon cutting ceremony will be held at 3 pm. We are still working out some of the details but I have been told there will be free dinner, steak bingo at 5 pm, and that they will be giving away $250 in canteen cash! This is an event you do not want to miss. 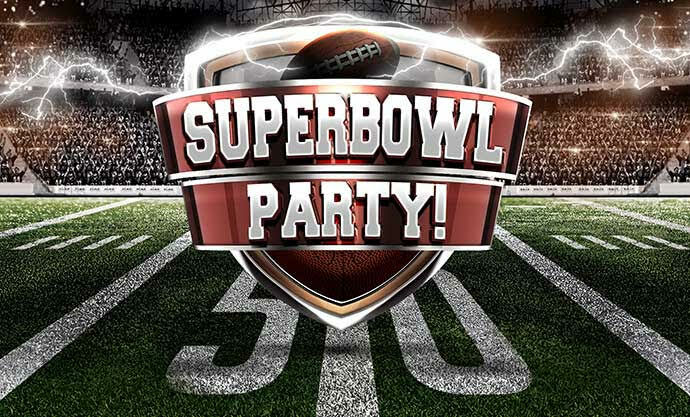 We will have our annual Super Bowl Party on Sunday, February 3rd. The cost for the buffet is only $15 per person and includes buffet and 6 tickets to the bag of cash raffle. We are still planning but typically the spread includes everything from wings, pulled pork, soft pretzels, nachos, chips and dips, chili and more. We always have a great time for the game with great food and I am sure this year will be no different so plan on being here. Sign up is now available. Sign up by January 28th and receive three free tickets to the bag of cash raffle. Our plan as it stands right now is to visit Post 233, Post 137, Post 88, and Post 283 but who knows that may change as the date draws closer I will let you know for sure. Our kitchen will be closed from January 14th to January 27th for some remodeling. But have no fear we are not going to let you go hungry - we have food trucks scheduled for dinner every night and for Sunday breakfast so plan on coming in an trying out something new. On Saturday, January 12th we will have the Jammas food truck here at Post 129. They specialize in Asian Street Food like Pad Thai, Pepper Steak, Curries and More. So be sure to stop by and try something a little different. ​Check out their menu by clicking here. Our annual Chili Cook Off is Saturday, January 12th. Entries must be at the Post by 3 pm. Chili entries should be open for everyone around 345 pm. So plan on coming up grabbing a late lunch and watching the game!